The slides from Mr. Coogan’s presentation are available for download here (pdf link). 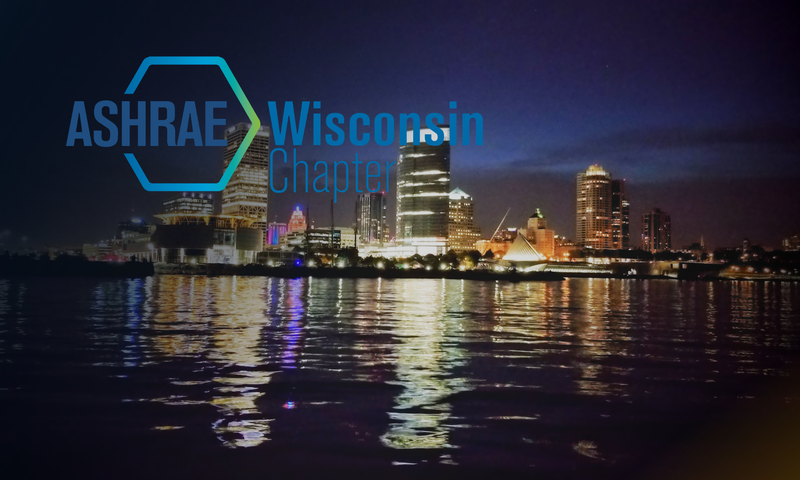 The Wisconsin Chapter of ASHRAE is proud to announce that on Thursday, February 15th, James J. Coogan will be presenting on: “ASHRAE Guideline 36P: High Performance Sequences of Operation”. Jim Coogan is a Principal Engineer in product development and applications at Siemens Building Technologies. In 35 years designing controls for mechanical systems, he has contributed to products ranging from simple room controllers to Internet-based operator interfaces. His work has resulted in numerous patents. Jim has chaired several ASHRAE Technical Committees including, Control Theory and Applications, and Laboratory Systems. He also chaired the committee that developed a Standard Method of Test for Airflow Controls. Jim serves as vice-chair of the committee updating the ANSI Z9.5 Standard: Laboratory Ventilation. Jim participates in the International Institute for Sustainable Laboratories. Publications include technical papers on room pressurization and laboratory system commissioning. Jim earned his SB in mechanical engineering at MIT. The talk recounts the background and history of the project. It presents the development status and likely course to adoption and maintenance. Most importantly, it explains the content of the current draft, enabling system specifiers to pick up selected aspects and put them to work now. We are very excited to have Jim Coogan for our February DL Presentation. Distinguished Victor W. Goldschmidt Ph.D. The Wisconsin Chapter of ASHRAE is proud to announce that on Thursday, November 16th, Victor W. Goldschmidt will be presenting on: “Problem Solving in Engineering”. The presentation will review different problem-solving techniques, from well defined (textbook-type) problems with a single solution to typical engineering problems with multiple and alternative solutions is discussed. The latter require ideation and free-thinking. Blocks to creativity are presented together with actual examples demonstrating these impediments to problem solving. Victor W. Goldschmidt, Emeritus Mechanical Engineering Professor, served at Purdue University from 1964 through 2000. He is currently serving as a Leelanau County Planning Commissioner as well as a facilitator and engineering consultant. During his 36 years at Purdue University, Mr. Goldschmidt was responsible for educating mechanical engineering students, including the direction of graduate research in the HVAC area. Most of his service with graduate students was with the Ray W. Herrick Laboratories with heavy support from the HVAC industries. During early stages of his career, he served as Director of the Engineering Purdue Fellows in Latin America; during later stages he served as department head for Freshman Engineering. Prior to his academic involvement, he worked in Applications Engineering and Development Engineering with Honeywell. Mr. Goldschmidt has taught almost every course in thermal sciences offered at Purdue, as well as a special upper level technical course on the “Creative Process in Engineering.” He is trained as a Synectics (special brainstorming) facilitator and is currently engaged in the development of strategic plans and problem solving sessions. A past ASHRAE Director-at-Large, he also has served as a member of Publishing and Technology Councils. He is an ASHRAE Distinguished Service Award recipient and Fellow, as well as Honorary Member of IIR, ACAIRE, ASURVAC and AAF. He resides in North Michigan, above Traverse City. Registration is below. Currently, the location & venue for the event are being arranged. An email notification will be sent to all WI Chapter email subscribers prior to the event. Miller Engineering is seeking an experienced and client-focused HVAC Design Engineer for commercial and Mission Critical projects. The position would involve design development through construction-phase support, coordination with multiple disciplines and clients, and providing innovative solutions. The Miller Engineering job listing with a complete description of the position can be found under the CONTACT section of the website here.